Inscriptions: l.l. handwritten in pencil: "Register from this corner"; l.r. handwritten in pencil: "print fourth"; l.r. handwritten in ink: "4"
"Untitled." Corita Kent in the Grunwald Center Collection. 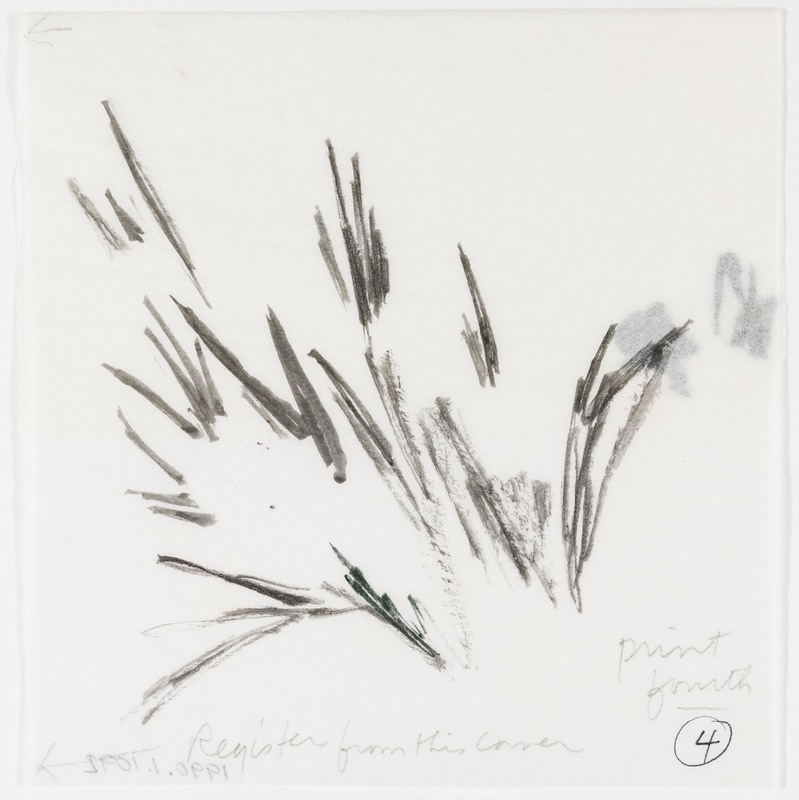 Los Angeles: Hammer Museum, 2017. https://​hammer.ucla.edu/​collections/​grunwald-center-collection/​corita-kent/​art/​untitled-preparatory-material-for-crocuses-for-summer-e/​.